with foundations of Gayaki, the wealth of Ragas and the Khazana of compositions. 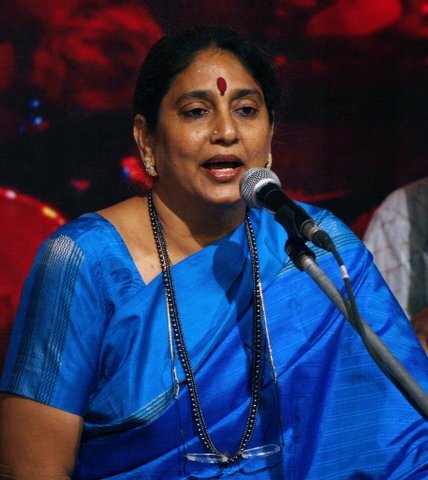 Mala Ramadorai is a person of many interests; the foremost is of course Classical Music. 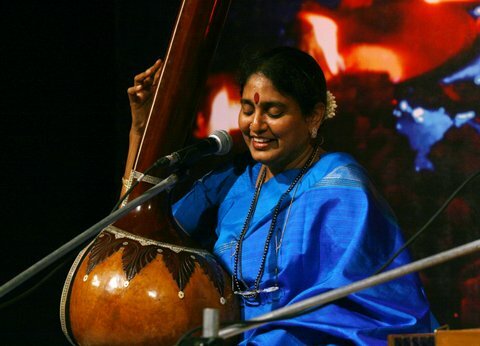 Having started very young with Carnatic Music it was much later that she changed tracks. The plunge into the Hindustani Style necessitated a temporary suspension of Carnatic Vocal to avoid a transfer of training from one style to another. Now the two reside side by side drawing the best from each other! Small informal engagements with the son's school like teaching Origami to the kids and some songs in the classroom lead to a curiosity with the teaching/learning process. Realizing that formal training in this area would help Mala went back to school! Soon education became a passion-having gained experience in school management, teacher training it was quite a natural transition to corporate employee engagement. Passionate about bringing about awareness to Indian culture, Mala is now engaged in conducting a series of workshops on Indian music, differences and similarities in north and south Indian music and so on. A series of children's workshops 'MusiK'i (Music For Kids) are also taking place regularly at the National Center for the Performing Arts with Inner Courtyard. Down with Jaundice at the age of 10 and forced to sit at home Mala was presented with Robert Harbin's book on Origami by her uncle. Always pursuing that interest she was pleasantly surprised, when at SNDT University with her Master's Degree program, to learn of a certificate course in Origami at the University! It was a chance to meet other like minded people. Origami Mitra was started by those few enthusiasts and today has over a hundred members in Mumbai, Pune and Ahmedabad. Exhibitions are held every year either in Pune or Mumbai. World class folders are invited each year to take part and teach advanced students- this year 2011 John Montroll was there and the year before Tomoko Fuse took part. Classes are held through the year on request at various teaching institutions. This year-till March 2011- Mala has agreed to be the President of Origami Mitra. If you have belief in youself you can succeed at everything. Hearing Mala sing all the reluctance vanished and the well established singer took on the little girl as his shishya. Initially her cousin next door learnt with Mala and the two had fun with the theory and practical 'exams' held every month. Sharali varisai and Jhanda varisai was emphasized ,few geetams were taught and soon varnams started. Kirtanams followed. The progression was rapid. The Master was very regular and set small tasks that Mala's mother insisted should be done and practice was a must. Every time there was an exam at the school there would be a small break of a few days from music lessons on Mala's request. By the time it came to high school the master would often exclaim, "Anyone can study but how many people have the talent that you were born with? Just concentrate on your music --- --throw your text books!" All India Sai Samaj holds an annual music competition. The gold medal that was awarded to Mala for vocal music when she was 16 years of age holds a pride of place even today. The very next year Mala won the 2 nd price at the vocal music competition at the Mylapore Fine Arts Club. Within a couple of years Mala finished her Bachelor's Degree in History and got married. She moved to Bombay but did not continue her music seriously. On her return after a couple of years stay in the United States in 1981 Mala engaged a teacher to learn Hindustani Music. Mr. Parkar was sure that she would benefit from joining the Bombay University Diploma Course. Her inquiries lead to the SNDT University where she was called for an audition by Dr.Prabha Atre, Head of the Music Department then. In spite of the fact that Mala hardly knew the Taal system in Hindustani Music and floundered at the audition, Dr Atre was ready to give her a chance. Joining the Master's program Mala had to work hard at hearing and recognizing the taal that was indicated by hand beats in the Carnatic system. Listening to lectures in Marathi, reading books in Marathi and trying to fit in with the class Mala quickly gained a facility with the Marathi language. After working hard for a year with Prof. Mudibidri's help Mala was very lucky when Pt.Yeshwant Bua Joshi one of the Doyen's of the Gwalior Gharana accepted her as his shishya. Under his tutelage Mala's skill and consequently her confidence grew. When an opportunity presented itself in Chennai during the Margazi Festival she was ready to perform on stage. The thorough grounding in the Hindustani paddhati, the foundation of gayaki, the wealth of Ragas, the Khazana of compositions were all gained under the guidance of Pt. Yeshwant Bua. The exciting journey in music continues now under the intense guidance of Pt.Satyasheel Deshpande bringing in both the breadth and subtle nuances that have added immense value. Often persuaded to present Carnatic Music Mala felt the need for renewing and extending her learning in this area too. She was thrilled when the legendary Shri Lalgudi Jayaraman agreed to guide her. Mala is concerned about the exclusive exposure to Bollywood music with no avenue being exploited for even a brush with Indian Classical Music by a vast majority of children or their parents in India. Some exposure at an early age would ensure at least a little curiosity or even a bit of an interest in our classical music. Many schools insist on hiring a teacher for western music, seldom is there a feeling of urgency to teach the basics of Indian Music. 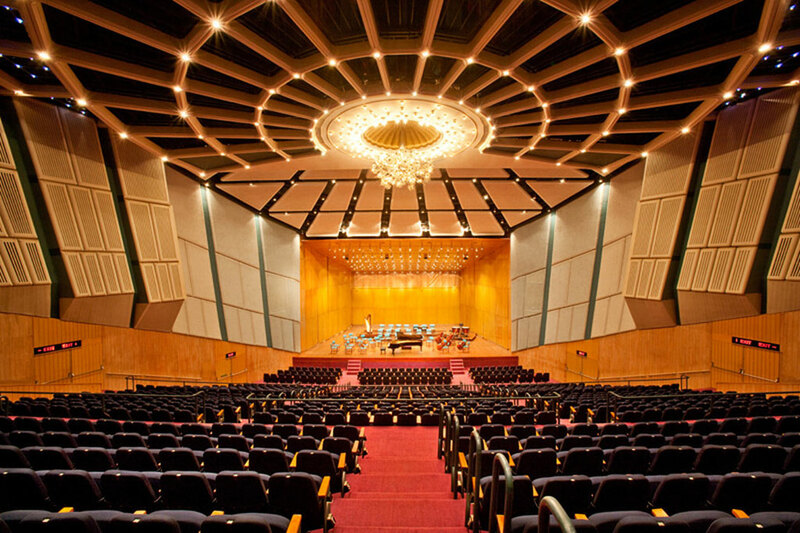 Campion School had a robust program of Indian Music many years ago- classes for standards 1 -4 and a grand Indian Music competition for the entire school every year. Mala's student from Campion realized the importance of this venture when years later the idea of MusiKi, Music for Kids was born and willingly came forward to back his old teacher. Inner Courtyard actively participates in Muiski and NCPA was convinced to lend their support too. Collaborating with her in this very rewarding initiative is Smt. 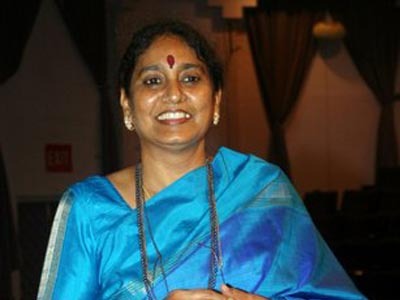 Usha Deshpande, who is passionately interested in Folk Music. Children from ages 8 years to 12 years of age are given some basic information about Indian Music and taught Folk and Classical Music that results in a mini performance at the end of the workshop. With a bright child who was full of curiosity to understand the world and getting involved with informal classroom interaction it was but a natural progression to seeking a formal degree in education. Quite used to going back to school after the Master's in Classical music, Mala sought admission into the B.Ed programme at the Bombay Teacher's Training College at Colaba, Mumbai. 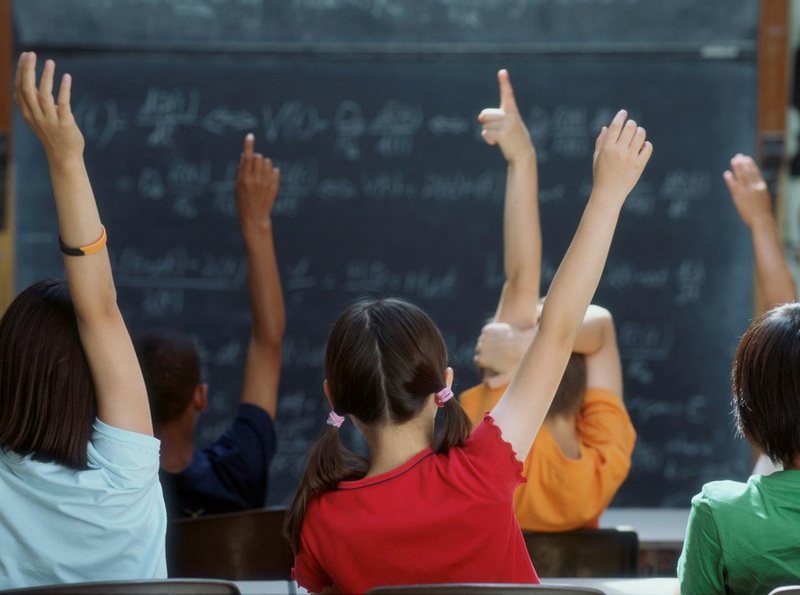 History and English were the teaching methods that were chosen along with counseling. To Mala's surprise the batch of 100 students had a number of 'mature' learners who had chosen to return to educate themselves with great enthusiasm . Some very inspiring professors at the Teacher's College left a great impression and a curiosity into understanding the workings of human brain- a passion that endures to this day. Walking into the nearest school with a sketchy resume resulted in a strange job offer. If Mala would agree to teach Indian Music to the younger students then the post of history teacher for the senior(9th and 10th Stds was hers! It was a challenge since learning North Indian Music straightaway at the Master's level meant absolutely no knowledge and definitely no repertoire for teaching infants!! It would mean learning on the job! So soon Campion School had acquired a teacher who taught History to Standards 6 ,9 and 10 and music to Standards 1 to 4. One student called her the "Indian culture" teacher! Teaching was extremely enjoyable especially while re discovering her love of History-which had taken a beating during the 3 years in College!! Mala's assignment included teaching History and Civics to Standards 6, 9 and 10. Teaching Indian music to the 'bacchas'- Standards 1 to 4 was a new adventure. Within two years all the children of the school had been taught by 'Rambo'. Mispronouncing the name often as RamBorai etc children stumbled upon this nickname for Mala! It was thoroughly enjoyable work. From the first day it was obvious that the 10th std was reluctant to learn- but they became good friends. Children in the 9 th Std were anxious because they were 'seniors' now starting their preparation for the board exams ICSE . They responded well and the class room interaction was very enjoyable. 6th std children were full of enthusiasm and since there was no pressure of exams the possibilities of offering a variety of learning experiences was exploited to the fullest. The infant music sessions were a stimulating experience. Being made "master" of the Britto House at Campion made the interaction with the children more intense and the ensured closer involvement with the school . So the question of choosing between Education and Music was a very painful excercise. The dry chalk dust was affecting Mala's voice and frequent sore throats made it impossible for daily riyaz to take place. All entreaties to lessen the teaching load and substitute that with other duties fell on deaf ears. Mala tendered her resignation with a heavy heart. With a view of opening up other avenues to engage in the area of Education Mala enrolled for her Master's in Education(M.Ed) Degree Program at the St.Xavier's Institute of Education (XIE). Extremely fortunate to have Dr.Celine D'lima as her guide, Mala's thesis was on "Education through Music and Movement". Simultaneously teaching at Bombay Teacher's Training College and at XIE it was the Training in Israel at the "Golda Meir Institute" in Emergent Literacy in Early Childhood that was the high point of those years of study. Finishing top of her batch and poised to enter the Training College as Lecturer, Mala was told of the vacancy at the Bombay International School for the post of Vice Principal. The chance of interacting with children again could not be resisted and fortunately the post was offered to her. Enjoying herself thoroughly Mala was totally involved in all the activities in the parent- owned parent- run school. In charge of Discipline, Scheduling and teaching History to the 8th standard children it was a very busy time. She trained and accompanied the senior children to the Harvard Model UN. All in all teaching children was most rewarding and a truly humbling experience. Circumstances forced her to resign and deciding that may be a full time job was not for her, Mala went on to do a University course in Psychological Counseling with Father Burke. But the lure of teaching made her agree to a part time teaching assignment at a school newly started by IL&FS for children with Learning Disabilities, "Nalanda". IL&FS 's Schoolnet India was preparing educational software for schools. One of the earliest CD s was on teaching Geography. Slowly drawn to the idea of introducing computers in the classroom Mala soon became Head -Training in Schoolnet India. Rounding up old friends, who would be perfect for this exciting new venture, an innovative team was put together for Teacher Training. The collaboration with Schoolnet Canada was a great step in mentoring the first batch of the Trainers with novel training methods and the fun elements that were an integral part of learning technology The idea of introducing technology in the classrooms drew many teachers, eager to catch up with students already quite at home with computers. The 10 day Basic training was slowly built up with specific emphasis on the subjects and the relevant technology that would be most appropriate. The five years were packed with learning new skills, re thinking educational concepts, keeping up with the latest research in Teaching/Learning and most importantly being a part of the initial experiments in introducing Technology in the classrooms in the urban and rural schools. The one thing that was very difficult was keeping up with 'corporate politics'! Surprisingly the 'teachers' were the most under-valued employees in this company engaged in school Education. Feeling that the time had come to give back to society Mala decided to give shape to her idea of a social network(Maitree) within Tata Consultancy Services which her husband was involved with. A trust in charge of a children's Hospital, Society for the Rehabilitation of Crippled Children , was running a school for children with Learning Disabilities. Mala took over as Chairperson of the school and is with that institution to date.